And they’ll never forget grabbing those same tefillin at the last minute as they and their six children—ranging in age from 20 to six—quickly fled their home in Talmon. A raging fire was only minutes away. So they took what was most precious to them. It was a smart split-second decision. Flames destroyed much of the Brat family house. The entire upstairs was charred. When the family returned, they could barely even recognize what used to be their home. It’s a symbol for what it’ll take to rebuild their home and their lives. It’s not going to happen overnight. But they have each other. And Federation partner The Jewish Agency for Israel, which is delivering grants of $1,000 to families across Israel who lost everything in the fires. With the grant, the Brats are able to buy clothing, medicine and other essentials for their large family. Odelia says that the care, concern and support they’ve received from The Jewish Agency has left her speechless. Help Israelis build. 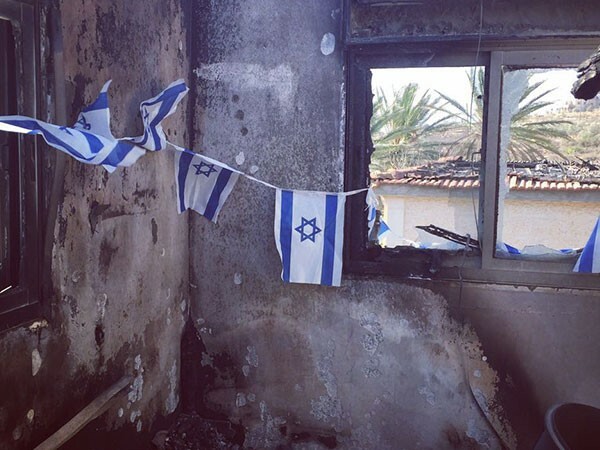 Donate now to the Israel Fire Emergency Fund.